These short-form cinematic documentaries were created by NAU student Kent Wagner. He produced these multimedia projects during a trip to a Tibetan refugee camp in Mainpat, India, with Associate Professor Laura L. Camden. 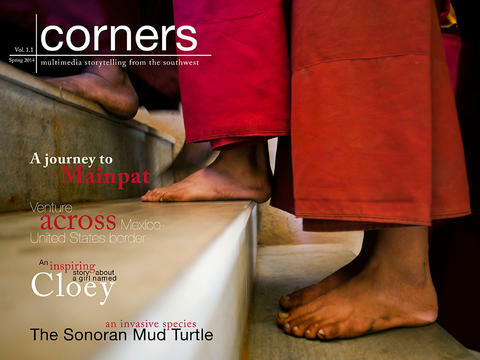 Corners is an iPad publication of the journalism, photojournalism, and documentary studies department in the School of Communication at Northern Arizona University. Unlike many student-run publications, Corners is a joint effort between students and faculty. The variety of stories captures the uniqueness of the Southwest and also touches on global themes. This first edition of the iPad app was created by visual communication students and journalism faculty.